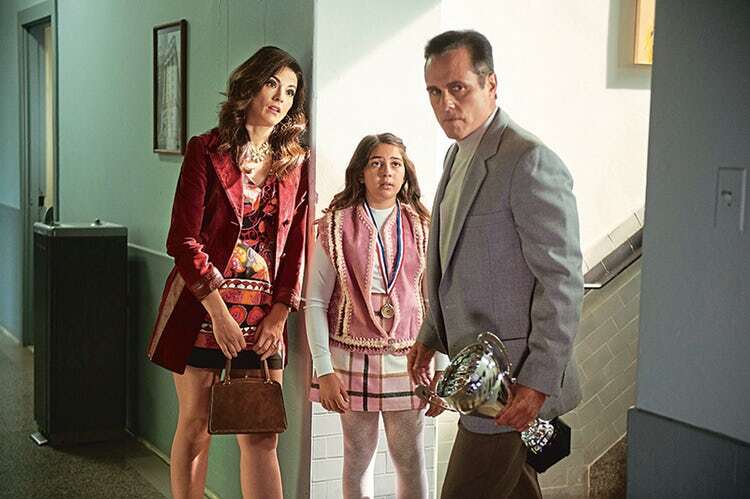 Fans and colleagues of Maurice Benard (Sonny Corinthos) have been eagerly waiting to see the General Hospital star take on the role of famous mobster, John Gotti. Well, tonight (February 9th) is the night! Make sure to watch the Daytime Emmy-winner in Victoria Gotti: My Father’s Daughter on Lifetime at 8pmEST/7CST. In the log lines for the movie. it relates: “Executive produced by Victoria Gotti herself, the movie takes us deep into the world of what it was really like to grow up as the daughter of mob boss John Gotti, revealing the glamour, glitz and unique hardships of her world. Sharing never-before-revealed stories about her life, Victoria (Chelsea Frei) tells of a sensitive child growing up with a beloved father (Maurice Benard) she worried about constantly; the tragedy of her younger brother’s death; and her turbulent romance, forbidden by her father, with the man who later became her husband. Victoria had a front-row seat to a life the world became fascinated with, all while trying to reconcile the loving father she adored with a man the outside world was determined to bring down. . The film is based on Gotti’s book This Family of Mine: What It Was Like Growing Up Gotti. Victoria Gotti will appear on camera narrating. 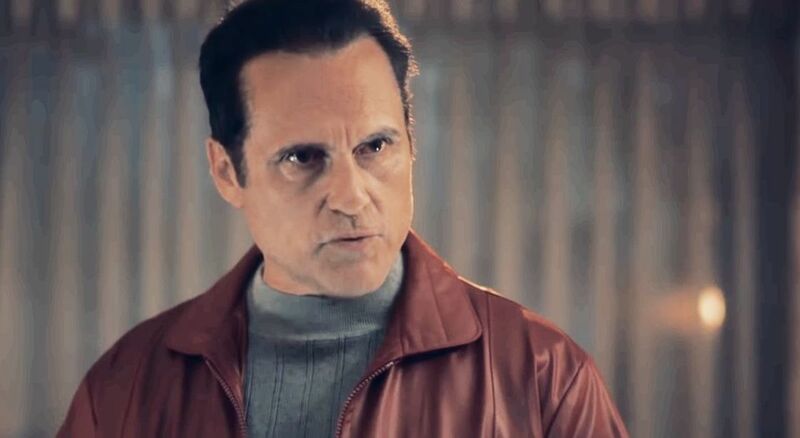 Check out the promo for tonight’s Lifetime Movie starring Maurice as John Gotti below, and the let us know if you will be watching, and if you caught it, what you thought of Maurice’s performance, and the movie via the comment section below. I don’t have the lifetime channel. Can I view it elsewhere? I love Maurice benard on gh he is good with the mobster character. and I cant wait to see him in this movie tonight. The movie was O.K, but got more from Victoria’s book. I still like Maurice no matter what. I am sure he did his ,best. Come on guys, let’s not all get into an argument over a stupid movie, that was poorly done, including the screenplay,casting,(not M.B) ,just about everything! I can not imagine anyone seeing the movie, would not agree, that on a whole, it was a lousy production, pure and simple. Every Italian I know will be up in arms…..They all say, they cannot see how an Hispanic, with a pretty high trace of Hispanic accent can pull it off… Italians do not appreciate a non Italian, anyone from a different race play such a prominent role. Gotti looked like the typical Italian. Sonny looks Hispanic, of mixed race. Italians are Caucasoid–European. I hope Maurice does a great job. But, his Hispanic accent and coloring will not do him any favors. He simply does not look Italian at all. The same thing happened with JLo in MAID IN MANHATTAN. She looks indigenous—a gorgeous woman, nonetheless—-just does not have the look of an Italian—–the accent, the gestures and, again, the coloring. The movie flopped!! 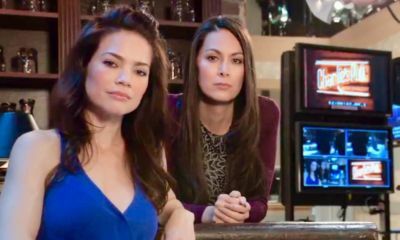 They must have really hated the Zacchara family on GH then. An entire Italian mob family portrayed by Jewish actors. If they matched actors ethnic origins with the characters they played over the years we probably wouldn’t have the film or tv libraries that we do now. It’s really apparent when you watch TCM. And can be infuriating. I wanted Bruce Lee in Kung Fu for instance but admit David Carradine was very good in the role. But right now I’m just getting tired of all of this nit picking. Can’t people just get over it, and appreciate an actors work well done. If I have any problem over Bernard playing Gotti it was that they did another Gotti story. And as an Italian I don’t appreciate this, and obviously didn’t watch. And there you go again, Rose. David Carradine was disguised to look Asian. Maurice does not look Italian. You never miss the chance to get on the bandwagon, do you, oh pius one? Please, I have grown up these five years. If you push me? I will push back in spades, lady. Who do you think you are? Ignore me!! Was I talking to you? Communicste with Satan. Thou hath spoken a bunch of nothing……..
Hi Rose, I’m still playing catch-up (about to watch Feb episodes of GH), so I’ve stayed away from the site—avoiding the spoilers. Apropos of what you just endured here, the very definition of cyber bullying, I wanted to acknowledge your thought-provoking exchanges with Jamesj75 from the 1/16 “Aiden Gets Bullied” thread. Sadly, that kind of discourse was lacking here, through no fault of your own. As with James, I’ve only known you to be a thoughtful contributor, enhancing the discussions here, and I’ll continue to look forward to your posts. Firstly, Satan, I have tried by best to be civil with you, despite your sarcastic undercurrent. If you have an issue with me, I do not give a flying fig. I try to respect everyone. I will avoid you from here on in. Please do the same. I bite when pushed too far!! Thirdly, Jews are WHITE, neither mestizo or indigenous as Maurice is. More power to him…..not to offend anyone, all races are noble and outstanding…..BUT, Italians are caucasoid, not of mixed Hispanic heritage. That is the difference. Have a good night nell’inverno!! I never watch those lifetime movies isshh they just are not in my lane..
it was DULL for a Gotti movie, indeed. 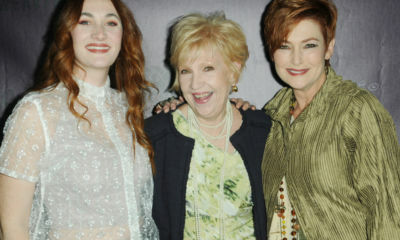 It was a true to form Lifetime movie; BLAAHHH. so- Maurice good, move bad .. I didn’t watch….I couldn’t bring myself to watch a mockery……I like Maurice as much as you do…..the only difference is, you love Sonny—I don’t. LOL. The accent alone probably did Maurice in. Mannerisms are also hard to imitate. It’s an art. Having been around my husband’s family since I was six years old, I have come to accept the fact that they can communicate by gesturing–no words. LOL. It is amazing to watch!! C, watch the movie! I didnt focus on the races. I looked at the acting and the story. For Lifetime, I give them credit, they spent some money on the movie. Maurice did well. The actress who played Victoria was really good. Victoria herself was part of the movie, commentating on certain aspects of her story and her relationship with her dad. They even inserted clips of John himself. Listen, it wasnt a Netflix production BUT, remember this, Travolta and his wife were attached to one of the WORST movie last year, GOTTI, and it was panned by almost every critique. Thats John freakin Travolta! Maurice did a better job than John Travolta, hand down! Her character name was Marisa Ventura. Can’t get more Italian than that, as my husband’s grandfather’s name is Bonaventura….everyone calls him Ventura. In WDDING PLANNER, JLo also played an Italian–Mary Fiore ( fiore=flower). What do you want from me, Rose? If you cannot address me by my name, yet refer to me as ‘people’, do not acknowledge me at all. Ok? Agree with your comments. I didn’t want to criticize the show too much, and there isn’t enough space here, but, having grown up on the East Coast with Italians, including my mother, its not hard to want to take this show apart, but what’s the use? My first gripe was “Mottsarella? ?” Thought I’d choke on that one. I live in Ca.now, and they do say it that way here, but took me years to get used to it. Maybe a different network would have done a better job with authenticity, but I don’t understand V.G approving that script, which was so different than her book. At least Maurice’s dimpled don persona, didn’t let us down. @CeeCee…This is just another example of the gross hypocrisy of the left where the application of “cultural appropriation” is a one-way street. God forbid caucasians of certain ancestries ask to be accurately portrayed by their own, yet when a minority person is piqued by even the smallest of perceived offenses by those of another race doing what they claim as theirs and theirs alone, then there is a huge outcry with major recriminations. Just look at what recently happened when a woman of color, albeit not the “right one,” decided to try out a different hairstyle associated with a particular ethnicity…Padma Lakshmi was excoriated for her cornrow braids, even though she wore them well and obviously meant no harm. Still, she was taken to the politically correct woodshead for daring to go there…At the same time, many of those very individuals who grouse about the most minute of matters regarding identity politics consider it perfectly acceptable to constantly demand that traditionally caucasian roles, like that of the iconic fictional film figure, James Bond, be relinquished to anyone and everyone but the actual white male of UK origin as his creator, Ian Fleming, intended. The same goes for that utterly disgraceful mess of a revisionists’ wish-fulfillment piece called “Hamilton.” Whether those who repeatedly seek to obliterate our actual history and sully those genuine heroes of our country’s earliest days like it or not, George Washington, Alexander Hamilton and the rest of the founding fathers who instituted the world’s greatest nation on earth were indisputably male and they were indeed white….Hence they therefore should be presented as such since all the dramatic license and pc posturing in the universe shall never change that fact. No matter how many attempts by those who wish to the contrary seek to undermine that reality through their own interpretations of those courageous souls who bravely fought the American Revolution to give birth to our new land, they are still nothing but pure fabrication and a total insult to the real people they purport to portray If only those aggrieved individuals would just deal with this apparently inconvenient truth, move on and dedicate their efforts toward creating new icons that better illustrate their own agendas, rather than repeatedly trying to usurp or destroy ours, we would all be better for it. There is certainly enough room in this world for a variety of perspectives and characters who represent them, but why is it our long-treasured figures, both historical and fictional, cannot not be left standing undisturbed and revered as they always have been and always should be, instead of tearing them down as a means of building up those of alternative ideals? It’s quite one notion to do your own thing by introducing new idols, but demeaning established ones in the process is really not necessary.